Yesterday I gave my mom a quilt for Christmas. I bought the fabric many years ago and intended to make a much more complicated pattern. This year I decided that with so many other projects on my plate I would have a better chance of completion with an easier pattern. That's when I decided on Fat Quarter Fizz, a free pattern from Fat Quarter Shop. It is fat quarter friendly and goes together quickly. 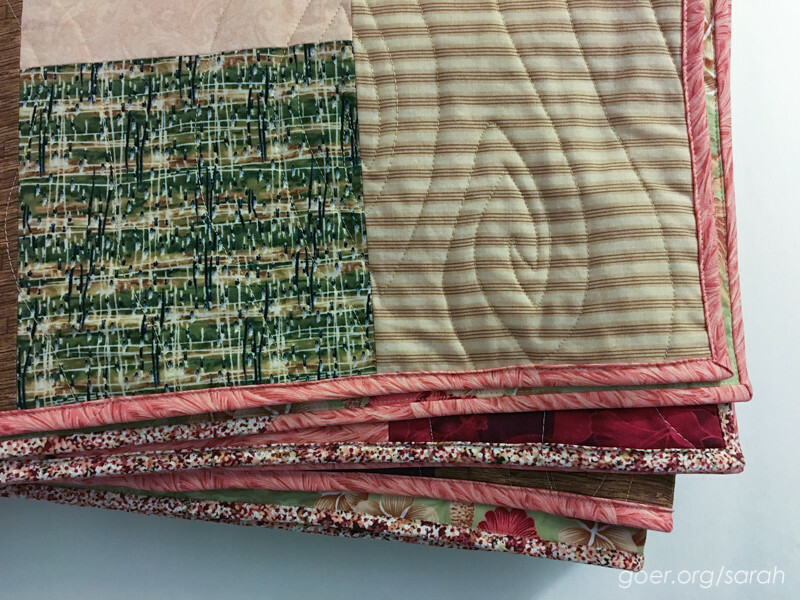 I love the pattern using light and dark fabrics, but since I had a spectrum of tones for the previously intended project there isn't as much of a tonal pattern in my quilt. While this isn't my normal palette I'm pleased with how these fabrics went together. I started with the backing fabric and chose the others to coordinate. I used two of the main fabrics for the binding. The finished quilt measures about 60" x 72". Mom is looking forward to curling up on her new (in a couple months) couch with it. She might need some coordinating pillows for her birthday. 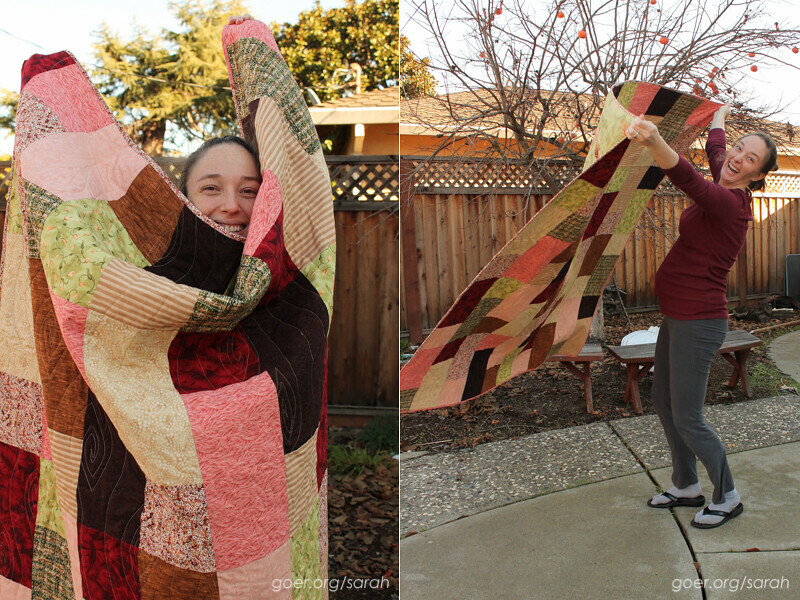 A big thanks to my sister for helping me get the full quilt shot outside today, despite a little wind. Thanks for visiting. What was your favorite handmade gift this holiday season? Posted in Quilting. 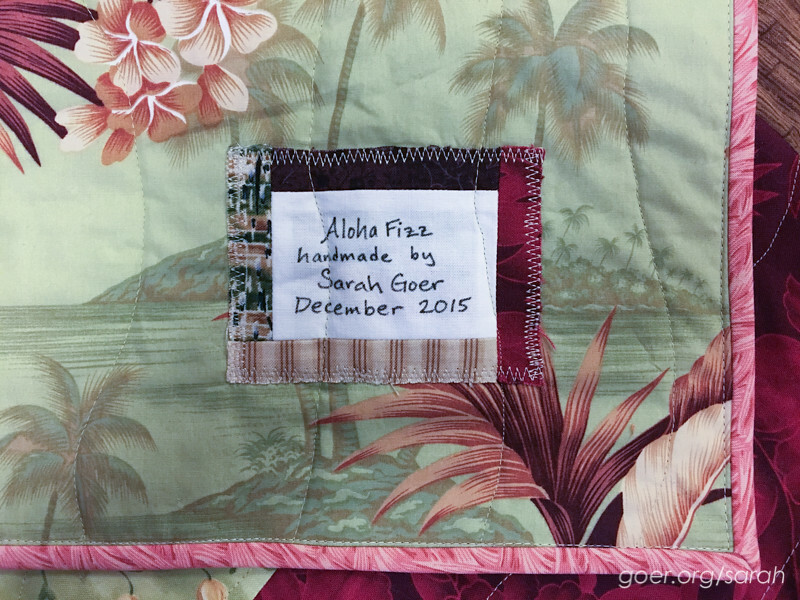 Tags: fat quarter fizz, finished quilt, lap quilt on December 26, 2015 by sarah. 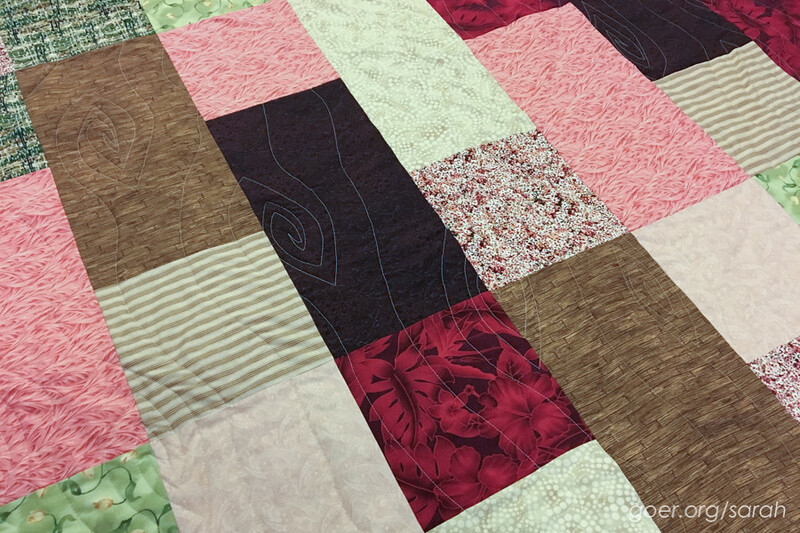 Beautiful finish, the quilting design you picked is perfect for the piecing design. Thank you, Cheryl. I like that the organic nature of the design makes it forgiving. The quilting came out beautiful! Isn't woodgrain fun (when you can control the backing, lol)? I bet your mom is absolutely thrilled. Love those last two pics! The woodgrain quilting looks great. I like how it appears and blends in to the different fabrics on the quilt top. 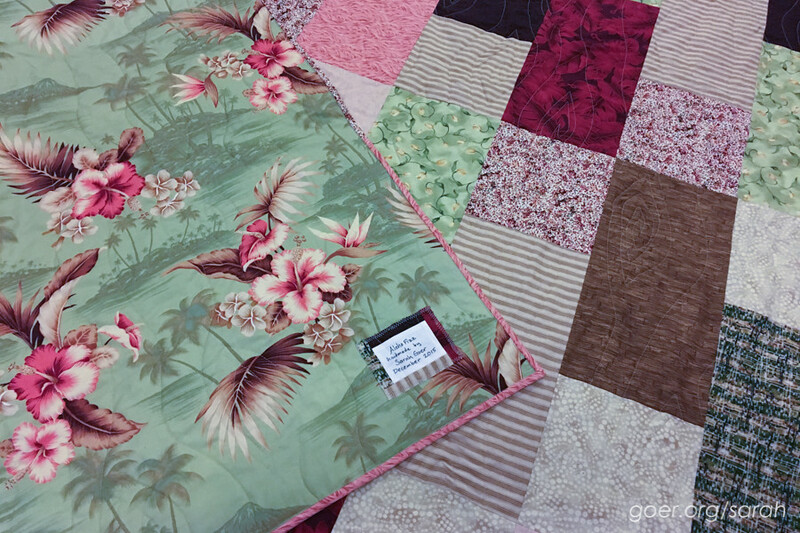 60 x 72 is a delightful lap sized quilt. I hope your mom loves to cuddle under it. It's beautiful and a perfect size!! I am sure your mom will never notice. 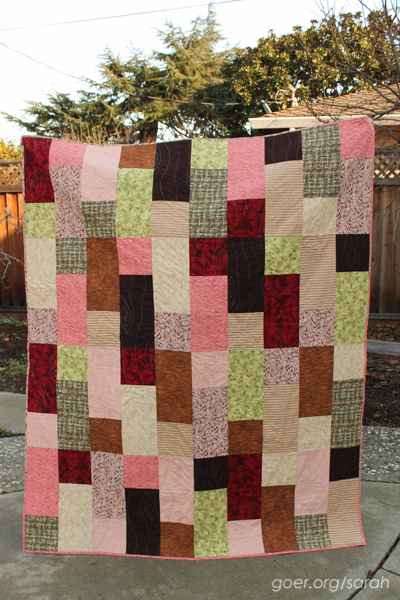 That is lovely quilting and I like the colours in your quilt too. Thank you, Sobana. And you're totally right that mom won't notice. You have to look pretty closely. The color palette is not so "me" but I'm glad it was well received. Yeah for another finish! 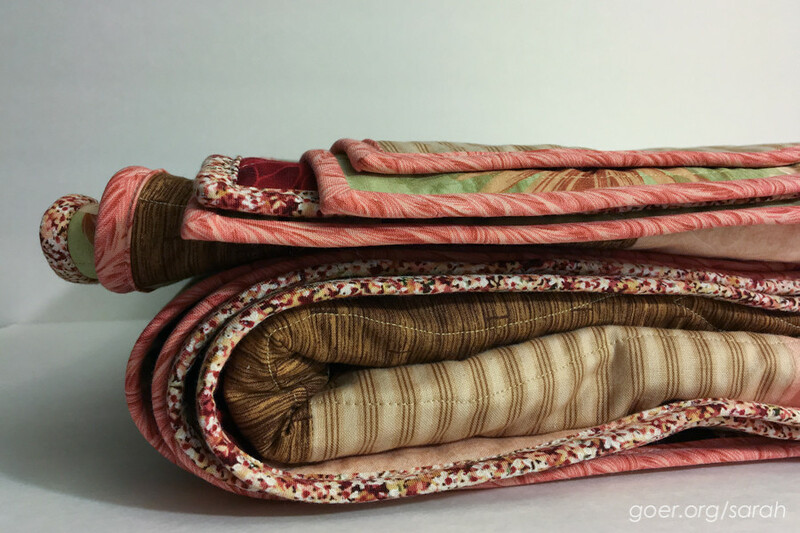 Your woodgrain quilting is amazing. Great job.